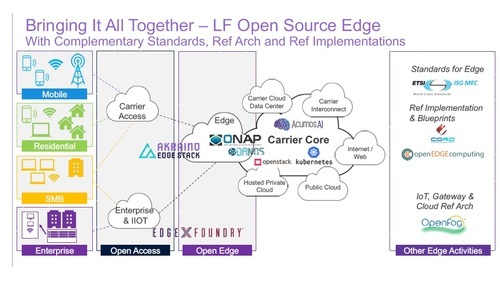 Developers for the new Akraino Edge Stack open source project are hard at work today and tomorrow at a developers' summit hosted by AT&T in New Jersey, on the heels of that operator's release of seed code Wednesday for a key blueprint for telco-based edge computing. 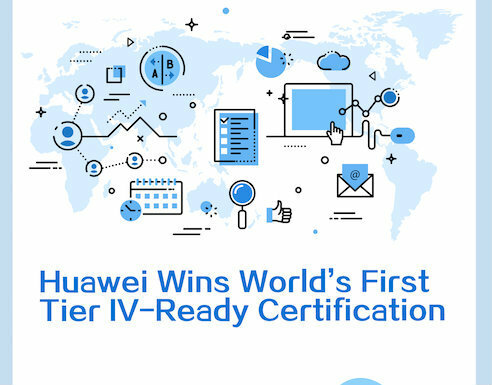 Arm, Dell EMC, Ericsson, Huawei, Intel Corporation, inwinSTACK, Juniper Networks, Nokia, Qualcomm, Radisys, Red Hat and Wind River are the other members. 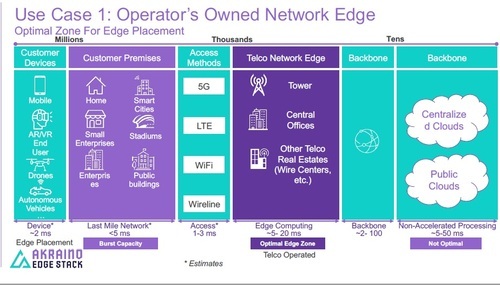 "The scope of Akraino is around two macro level use-cases, the operator's own edge -- and that edge is on websites with physical access, so at the customer premise, where latencies less than five milliseconds are important -- and at the traditional edge, which is really base stations and central offices and things like that where up to 20 milliseconds of latency is tolerated," Joshipura says in an interview. 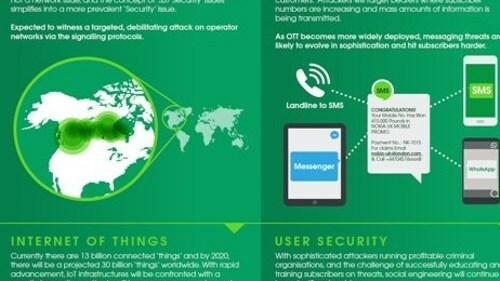 The Akraino community is developing the middleware, software development kits and applications programming interfaces, as well as blueprints to address multiple use cases for each of the macro levels, he adds. One such blueprint is for a Central Office-based, telco-hosted edge compute stack based on OpenStack, and that's the blueprint for which AT&T released seed code on Wednesday, he adds. "By [today], it will be available to everybody to download and use, and that's good progress," Joshipura says. "We've taken the summer to make sure that code transition is smooth. The second blueprint is the same concept that moves a little bit toward the remote sites. It's a much lighter stack. 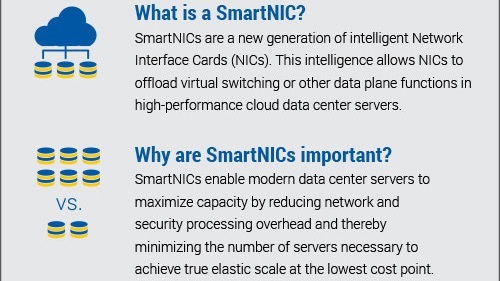 And then there is the non-telco or non-telecom blueprint that could be with disaggregated hardware or really lightweight, low-latency stacks." The Internet of Things at an industrial scale is a primary driver for the enterprise edge, he adds, with its more diverse settings. 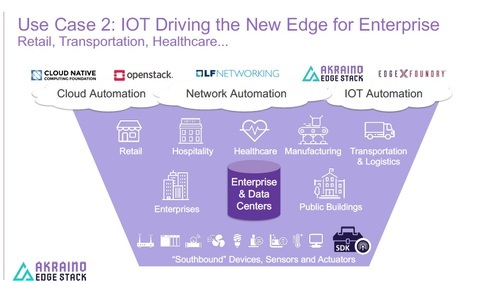 Akraino's scope includes the edge middleware, SDKs, APIs and application/virtual network function ecosystem for the telco-hosted edge and remote edge, and for enterprise/OTT/Industrial IoT edge use cases as well. "Service providers are already participating in the technical committees, because they are open to anyone, you don't have to join [the project]," Joshipura said. 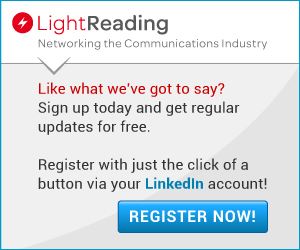 "Then there's a lot of what I would call enterprise and IIoT companies participating. If you look at the developer summit agenda, we have a whole set of what I'd call adjacent communities and projects participating. We're working to see how to collaborate." A timeline for the project will be settled this week as well, but Joshipura expects Akraino's first release to be out before year's end.